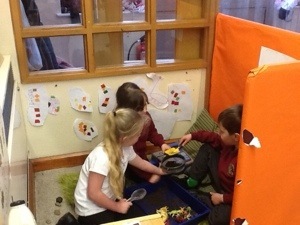 As part of our learning about toys we have designed a toy shop in our role play area. 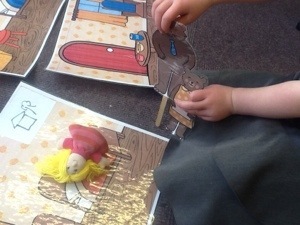 We are learning to use the role play area with friends. 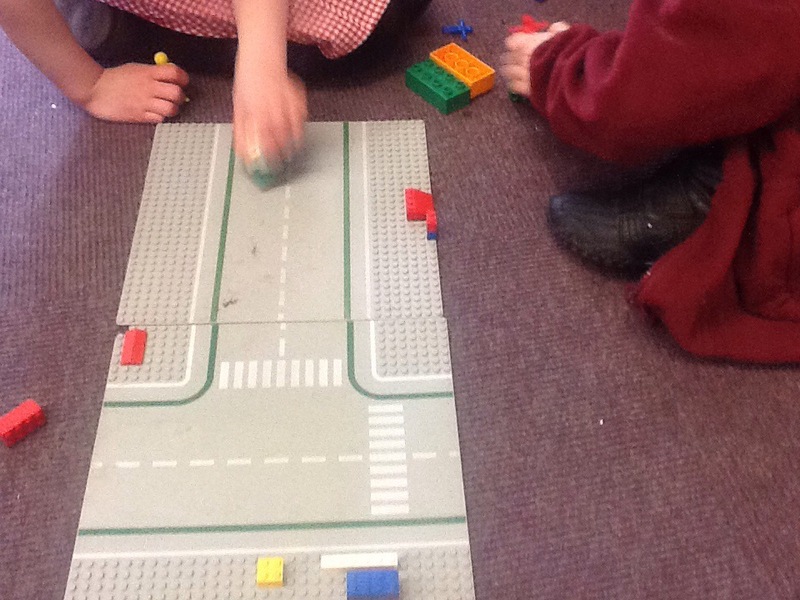 What do you think we could put in our toy shop. 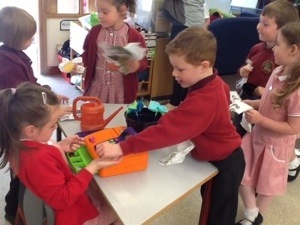 Tagged Money, role play, Toy Shop, Wombridge Primary. 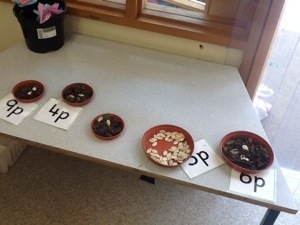 Class one have been using the indoor garden centre to count, add and take away. 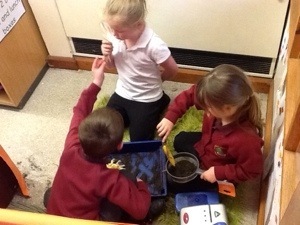 We can recognise most British coins now and we are learning the ones we get muddled with through role play. 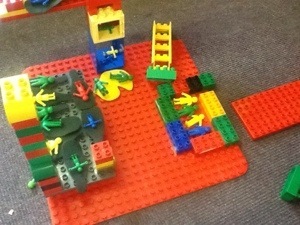 We have been creating our garden centre. 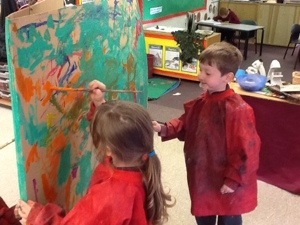 We decided we wanted the walls to be green with flowers growing up the side. 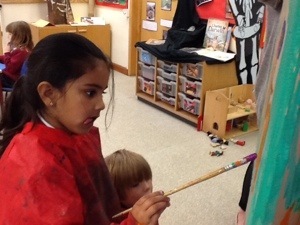 Some of us gave been painting the wall, some of us have been making signs and some of us have been making flowers to sell. 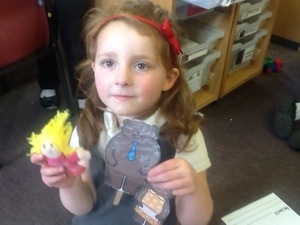 This week in literacy we have been learning about the settings in different stories. 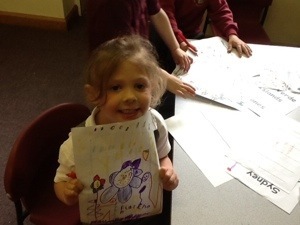 We made our own settings and told stories through role play and small world in different settings. 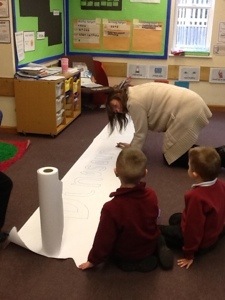 Our dinosaur museum is coming along nicely now. 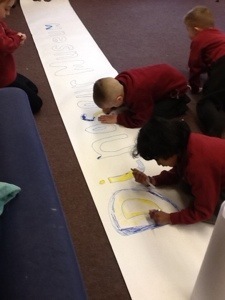 We have been busy making a sign so that everyone knows where it is. 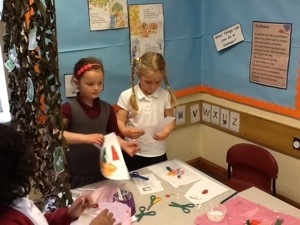 We have been working on turning a corner of our creative area into a dinosaur museum. 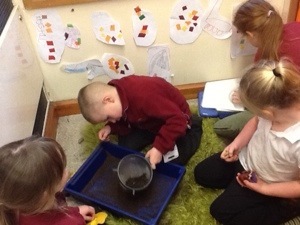 We have made binoculars, added books, made pictures and labels and been digging for fossils.